Weronika lost her childhood before it even began. It is so difficult to accept that a beloved child could die. 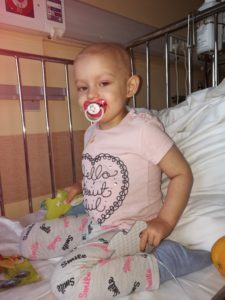 This two year old angel has a malignant stage IV cancer – neuroblastoma and notorious cancer is spreading throughout her tiny body. She never got sick, so when her tummy ached, parents quickly took her to the doctor. The pediatrician downplayed the problem. Weronika cried more and more, constantly holding her tummy. Parents took her for yet another visit and insisted on an ultrasound examination. The doctor fell silent, and the expression on her face changed: from concentration to distress. She left the room silently, and when she returned she told the parents to return for an urgent consultation with the pediatrician as soon as possible. 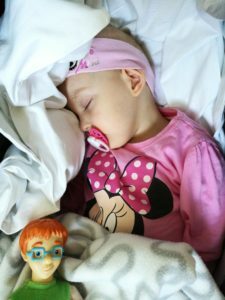 Weronika was crying all the time… The doctor was again of the opinion that these were typical symptoms of echinococcosis, that it was nothing, but he sent Weronika to the hospital. On August 4th the world as the family knew it changed forever. Doctor at the Children’s Health Center in Plock had no doubts. He looked into Wronika mothers’ eyes and said words that froze her heart: “please, prepare for the worst. It’s a tumor. Probably cancerous…”. Further examination only confirmed the assumptions: they showed metastases to all bones, bone marrow involvement at 84% and additionally a factor resistant to chemotherapy. The monster in the belly was 12.5×6,5x12cm, it covered the area from the spine, through the aorta up to the ribs and kidneys, and moved all internal organs. It caused unimaginable pain and did not even have room to grow further. But doctors gave parents hope, and that was enough to begin to fight. 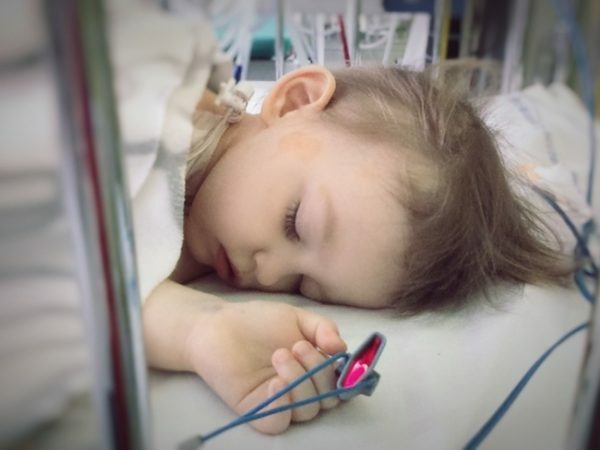 Weronika is only 2 years old, wants to play, she does not understand why she has to suffer, why her belly protrudes cables, why she has to be in the hospital, not at home with her twin brother. After the first cycles of chemotherapy, the tumor decreased in size. Weronika’s condition evidently improved. The treatment began to work. The bones and marrow were clean, so the doctors decided to remove the adrenal glands along with the leftover tumor. However, cancer can come back at any moment, attack with redoubled power. Weronika now awaits megachemotherapy, stem cell transplantation and transplantation, radiotherapy and the most important: immunotherapy. The latter, lave saving treatment, is not refundable by the National Polish Health Fund. 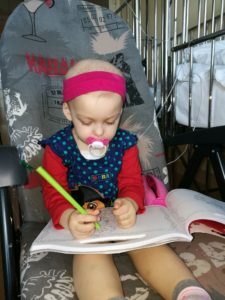 There are about 70 new cases of neuroblastoma per year in Poland. Almost half of the cases diagnosed concern children under 3 years of age. Most of them are diagnosed in the fourth stage of the disease – with bone and bone marrow metastases. Only 30 children will live to receive immunotherapy. Despite these statistics, we will never give up on Weronika and neither should you. Help us get her necessary treatment and reunite her with her brother.